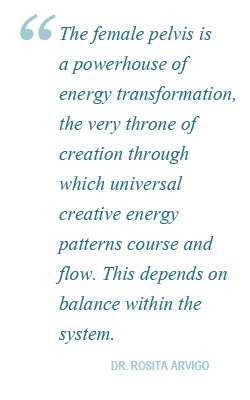 “The female pelvis is a powerhouse of energy transformation-the very throne of creation through which universal creative energy patterns course and flow. This depends on balance within the system.” Dr. Rosita Arvigo D.N. What is Mayan Abdominal Therapy? Mayan Abdominal Therapy is an external non-invasive manual massage technique that supports female abdominal, reproductive and pelvic health. It helps internal organs to retain or regain their correct position in the abdominal cavity, restoring the flow of blood, nerve, lymph and chi. Mayan Abdominal Therapy also involves work on the pelvic area and lower back which helps the sacrum and pelvis to sit in balance and harmony, and to function optimally in alignment with the front of the body and organs. The foundation premise of this work is that for variety of reasons, the women’s uterus can easily become misaligned. This could be due to physical reasons, like a fall, back injury, surgery or traumatic birth. It can also be due to emotional reasons, such as sexual abuse and trauma and the chronic effects of modern lifestyle. Whatever the reason, once the uterus is out of alignment, restrictions occur which block the 5 main flows into the area – that is, the venous, arteriole, nerve, lymphatic and chu lel (Mayan for chi). 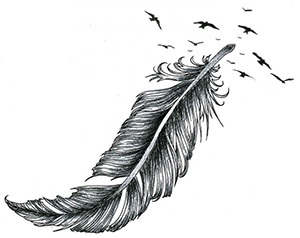 When there is a blockage of these 5 main flows, the body is out of balance and problems arise. This is when we begin to see signs and symptoms, like painful ovulation, depression, headaches, or any of the symptoms listed below. 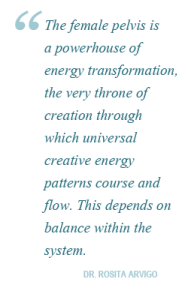 When we increase the nerve, blood, lymph and chi flow to the pelvic basin, we are able to restore balance to this area and the organs surrounding it. Toxins are flushed and nutrients that help tone tissue and balance hormones are restored to normal order. This is essential for healthy functioning of both the digestive and reproductive systems. How can Mayan Abdominal Therapy help women? 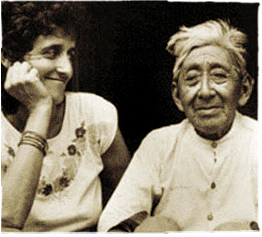 “When a woman’s uterus is out of balance – so is she.” Don Elijio Panti – Traditional Mayan Healer and Shaman. Being born a woman means, that according to the ancient Mayan healers, we are born with the only spiritual organ in the body – the uterus. The uterus is highly respected as a living spiritual force within the female anatomy and she is therefore looked after, acknowledged and treated when in need of support. She is seen as the gateway between the Divine and Earth as every being here on Earth, has had to pass through her tight doors. The uterus is held in place lodged tightly leaning slightly over bladder in the centre of the pelvis, about one and a half inches above the pubic bone. It is held in position by muscles, the vaginal wall and the support of 10 ligaments holding her in suspension like a spider in a web. These ligaments attach to the pelvis and sacrum and are designed to stretch and accommodate a growing baby. When one of these ligaments becomes looser, or tighter through injury, birth, emotional trauma, sport a fall or lifestyle choices, the uterus is pulled out of her centre and falls to one side, or to the front or back. When this occurs, she now sits in a space not designed for her size, and she can squash vital communication pathways of blood, nerve, lymph or chi. This results in a breakdown of communication between an area of your body and your brain, causing congestion to increase, pain and discomfort and a cascade of pelvic and abdominal health issues. Women are told that it is normal to have a tilted or prolapsed uterus, and are given options like the birth control pill, muscle relaxants and surgery. They are also told not to worry about it. Yet women have a list of physical and emotional symptoms that can be addressed and prevented with the help of Mayan Abdominal Therapy. Mayan Abdominal Therapy helps bring your uterus back into alignment through the application of gentle non-invasive external massage applied on the lower abdomen. This allows the body to regain homeostasis and the natural balance of the body can be restored to the pelvic and abdominal areas. Through repeated treatments, and your own self-care massage applied at home, your uterus is able to realign herself while you also increase the flow of blood, nerve, lymph and chi to the vital organs of your body. By restoring balance to this area, female reproductive and digestive conditions can me reduced and often eliminated. What conditions can Mayan Abdominal Therapy help? I offer Maya Abdominal Therapy as a supportive modality to enhance health and wellness. It is not meant as an entire approach to health care. If you have any serious medical conditions, please consult your health care provider first. Having said that, the techniques support and enhance health and wellness and have been found to provide good results when compared to alternate treatments. They empower women with tools to help themselves and encourage their own body’s wisdom and intelligence to come forth and find balance and healing. Bad professional care during pregnancy, delivery and postpartum. Emotional armoring from any kind of abuse from a time in your life. What does an Arvigo Therapy session involve? Comprehensive interview and health check of your current health needs. The hands on abdominal massage with work also on the lower back and feet. The massage is tailored to each client with pressure that is suited for each person. We work on the lower back and sacral ligaments to ensure correct positioning of both the uterus and sacrum and the 5 flows. Instruction of Self Care techniques to take home so that they are empowered to use this work each day. The speeds up the path to health and balance. Sometimes suggestions are made for the clients to perform complimentary modalities for home use. This could include: Castor Oil packs, Herbal Remedies, Faja (uterine support wrap – pronounced fa-ha), Bajos (traditional Maya vaginal steam bath – pronounced ba-hos), Nutritional and lifestyle recommendations. 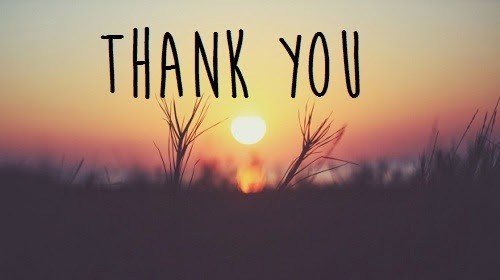 Follow up appointments are 90 mins in length and include a Self Care review. Can I have MAT when I am pregnant? Yes. We can always work with you regardless of what stage of pregnancy you are at. We adjust our treatment according to where you are at in your pregnancy. In the early stages, up to 20 weeks, we do not do any uterine work as your baby is still adhering itself to the uterine wall. After this time we can support your uterus to remain centred and balanced for your baby by including the uterus in the massage sequence again. All sessions are tailored for you, and for what you are dealing with at the time. For more information on getting massaged while pregnant, please see the “Fertility, Pregnancy and Post Partum Care” section. 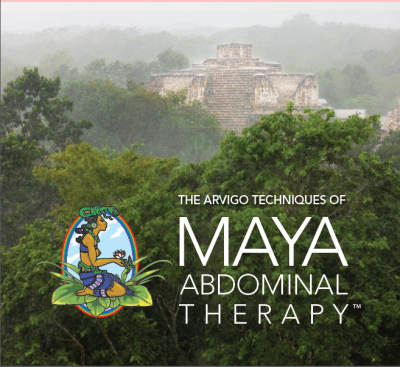 When is Mayan Abdominal Therapy not performed? These techniques are safe and effective with few contraindications. Please review the following before making an appointment with Fiona. Not recommended five days prior to onset of menses and during menses. Not before 6 weeks following normal vaginal delivery and 3 months after a cesarean section. Not if you have an IUD in place. Please call me to further discuss this, as some work may still be possible depending on circumstances. Not if Cancer is suspected. Not immediately after abdominal surgery. What is the history of Mayan Abdominal Therapy? For over 2000 years the people of the Mayan civilisation have passed down through word of mouth this simple and effective massage method to support women. Through the elders, the next generation was taught and shown these ways to support their health. 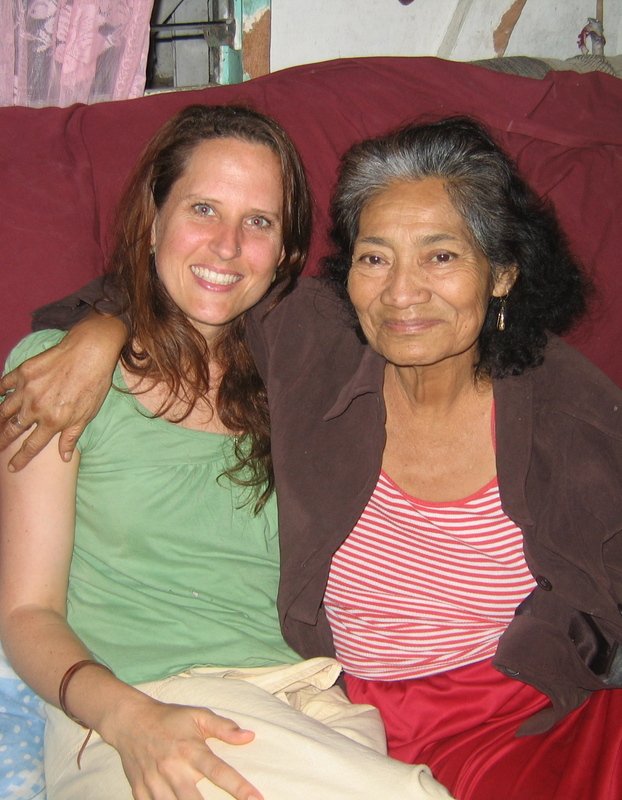 While traveling in Belize during 2009, Fiona met and studied with Mayan traditional healer Miss Beatrice Waight. Coming from a line of healers in her family, she was the 5th generation traditional healer and passes on a style of bodywork that treats women’s reproductive ailments with a combination of uterine massage and correction techniques, herbal preparations and prayer. Miss Beatrice was one of the last traditional healers with this knowledge. Before she died she passed on her knowledge to many keen students who would travel to her small home in Santa Familiar in the highlands of Belize and stay in her family home to learn her craft. Fiona was lucky enough to be one of these students before Miss Beatrice passed away in late 2010. In 2010 and 2011 Fiona continued her study in the area of Maya Abdominal Massage and studied with the Arvigo Institute, LLC. She completed her Professional Training Course in The Arvigo Techniques of Maya Abdominal Therapy, which allowed the use of this work to be fully incorporated into her practice in Australia. The Arvigo Institute is the compilation of over thirty years of training and experience in massage, naprapathy, herbology, and spiritual healing by Dr. Rosita Arvigo. She combined her own knowledge with these ancient techniques and called them The Arvigo Techniques of Mayan Abdominal Therapy.